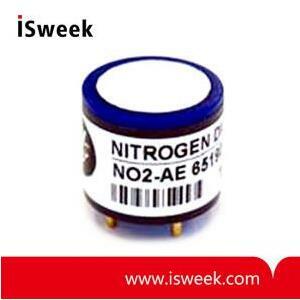 Alphasense Nitrogen Dioxide gas sensors operate using proven fuel cell technology. The NO2 range provides OEMs with reliable sensors for use in a number of high volume applications. Strong signal levels combined with low zero current allows resolution to 50 parts per billion (ppb) and an operating range to 20ppm. The sensors are suitable for use in fixed installation sensing heads, portable safety instruments, urban air monitoring and stack gas analysers. The NO2 sensors offer our electrolyte leak-free guarantee and reliable long-term detection performance. The leakproof housing is moulded with a colour coded top for ease of identification.